The bronze and aluminum smelting sector has four ovens, each with the capacity to melt up to 600 kg. 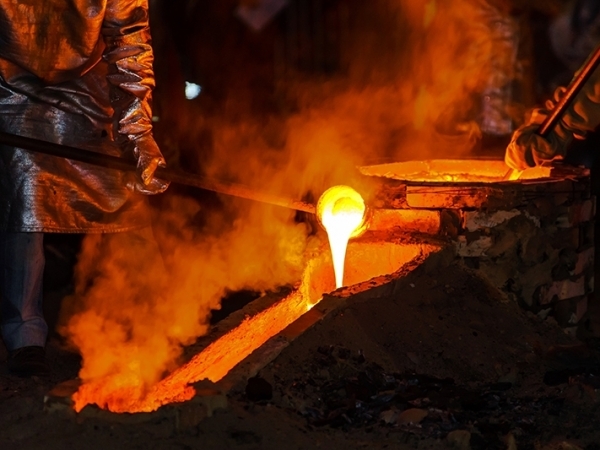 The induction furnace, ecologically correct due to the use of electric energy combustion, guarantees more quality and speed to the casting process. In addition, it also has two conventional EASA kilns, with a casting capacity of up to 1,800 kg per process. The FAV also has two foundry sectors: ferrous and non-ferrous. The bronze and aluminum has four ovens, with the capacity to melt up to 1.8 tons / process.